Daisies make the perfect incongruous statement when made into a tattoo design. The image of the daisy has long been held as a symbol of innocence and purity - not what you would expect from the wearer of a tattoo. Daisies have a long and involved history as a symbol of innocence, purity, peace and religion. These simple wild flowers get their name from the description, "Days Eye," because the flower opens at sunrise, and closes its petals at sunset. This common and simple flower was first designated as a symbol of the infant Jesus Christ. It was thought that such a commonplace flower was a better symbol for the innocence of the infant than the more popular and exotic lily. The flower also gained the meaning of innocence during the medieval times, when flowers were thought to connote several meanings. Maidens who carried daisy bouquets were thought to be the most pure. The flower later took shape as a symbol of peace during the 1960s, and began to gain its popularity as a tattoo image. The simple image of a daisy tattoo was worn by flower children everywhere to display their own innocence, childhood and love of peace. While the daisy may be a simple flower, your tattoo does not have to be plain or simple, unless you want it to be. Many wild-growing daisies are white, but the Gerbera daisy comes in a wide range of vivid colors. Bold reds, oranges, yellows, pinks and even purple make a Gerbera daisy perfect for a lush, full color tattoo. Consider having one bloom from your shoulder, the small of your back or anywhere you can give it the space it needs to spread its petals wide. Twist small, delicate and simple daisies into a flower vine tattoo that circles an ankle, stretches over a foot or threads down a bicep. Intertwine multiple vines together and stud them with simple daisies for an extremely feminine and intricate tattoo design. If you choose to show off your faith with a Religious tattoo, consider adding a daisy to the scene. Twine a daisy vine around a cross or just wear a simple daisy next to your heart as a private symbol of faith. Take the original meaning of the daisy and the medieval tradition of giving an innocent girl a bouquet of the flowers and turn it into a tattoo that shows off your innocence and purity. Arrange a blooming bouquet or grouping of daisies on your back, bicep or calf. Show off your sunny personality with a happy daisy tattoo. Create a simple, cartoon style daisy and give its sunny center a smiling face. Place this tattoo where both you and those around you can view it easily and bring a smile to your day. 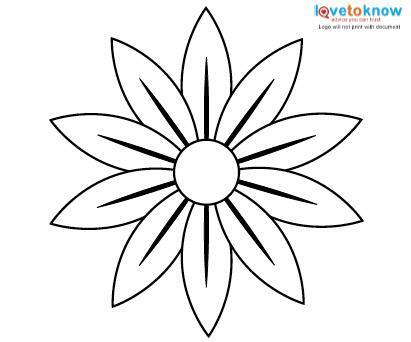 Create a unique tattoo design that combines the edge of a tribal tattoo with the simple innocence of the daisy. Begin with a simple, black tribal band and place one or a scattering of daisies into the negative space. 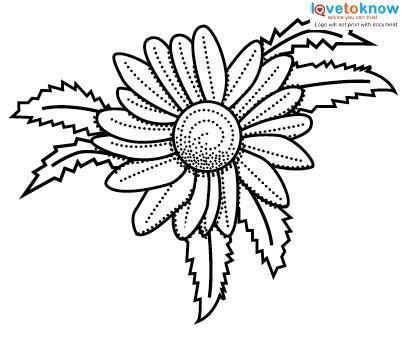 The bright daisy will pop against the black work, making a very noticeable and interesting tattoo. Whether you are full of color and life and rise with the sun, or you want a way to show off your feminine and innocent side, daisies are the perfect way to express yourself in a tattoo. Find your perfect design today.